Large firms recognized the world of fashion, moving their brand value to the business of tourism. That is why today, not only can wear them, but also we inhabit and enjoy. One of the first companies to venture into the depths of this competitive business, is the glitzy Bulgari firm, famous for its luxurious jewelery, watches and accessories. Passing on all its glitz and glamor to this new aspect, the brand launched its first hotel in 2004 located nothing more and nothing less than one of the fashion capitals: Milan. Located in the commercial heart of the city, in the district of Brera and close to the leading stores worldwide, has only 50 rooms, indoor pool, beauty salon, cars to rent, bridal suite, vip services, children, spa, massage, among other things, that give the traveler a luxury accommodation. Their second release in 2006, was built in one of the most exclusive and paradisiacal places in the world. 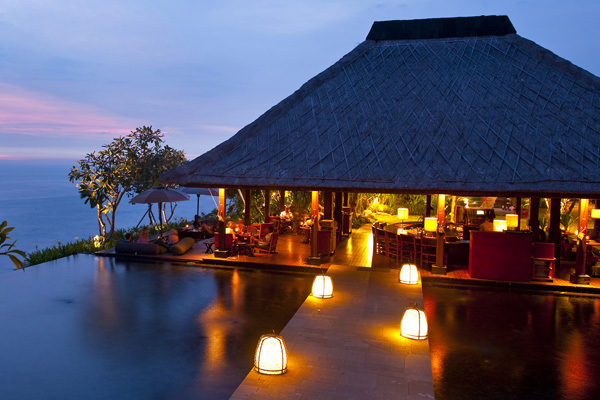 This called Bulgari resort hotel is located on an amazing island of Bali over the Indian Ocean in Indonesia. Owner stunning design and architecture, has 59 rooms, a wonderful private beach, outdoor pool, sauna, meeting room, gym, a sector dedicated to beauty and many other stylish and incredible alternatives. Middle of this year the opening of another hotel in the heart of London is expected. The complex will have 85 rooms, private cinema, spa, indoor pool of 25 meters and many other exclusive facilities. As an added value and standing out from the rest of the market, it is clear that besides offering services suitable to meet any customer need, bear the stamp of Bulgari products, giving the hotel not only luxury, but also exclusivity, design, sophistication and elegance. Be the first to comment on "Hotels fashionable"